All prospective buyers must be at least 18 years old and are required to register with Bar None Auction prior to bidding. By using the bid number, the bidder acknowledges he has received, read, and understands and agrees to be bound by the terms and conditions of the auction either on the bidders agreement or posted at the auction facility. The Auction will be conducted by offering the items by lot, either individually or in groups. The bidder offering the highest bid accepted by the Auctioneer shall be the purchaser of the offered lot, and no purchaser shall retract his bid. Purchaser accepts a lot when he makes a bid. All sales are final. Bidder agrees to be responsible for the payment of the purchase price, Auctioneer’s fees, any applicable DMV fees, and taxes due on all of bidder’s purchases. The “Auction Terms and Conditions” shall be governed by and interpreted under the laws of the State of Oregon, and any action hereunder against Auctioneer shall be commenced in the State of Oregon. Interest on overdue amounts will be paid by purchaser at a rate of 2% per month/24% annual, or at such other maximum rate allowed by law. State and local sales tax will be assessed and collected on all purchases unless legal exemption documentation is provided at the time of sale. All items are subject to a Buyers Premium. A buyers premium is a auction fee assessed in addition to the bid price. Specific auction items may be identified in the description of a particular lot to have a specific buyers premium or possibly no buyers premium; if not identified in lot description the default buyers premium is based upon the bid price of the lot sold at the following rate: $1.00 to $1500.00 = 15% Buyers Premium, $1501.00 and Over = 10% Buyers Premium. Internet bidders are subject to an additional 2% administration fee for online services with a maximum of $750 per item. Purchaser is responsible for insuring his purchases immediately. Bar None Auction shall not be responsible for loss, damage, or theft of any purchase. Purchaser shall not be entitled to remove any item from the auction facility until all his purchases are paid for in full including all applicable goods, sales or use taxes. Removal of all items shall be the sole responsibility of the purchaser. Loading assistance is provided as a courtesy; however, purchaser assumes all risk and responsibility for loading and removal of purchases. 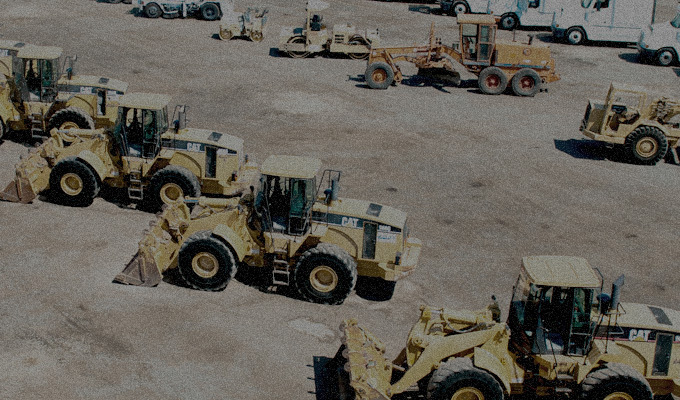 Auctioneer reserves the right to require proof of adequate insurance coverage from any purchaser items requiring dismantling, rigging or hot cutting. Purchaser agrees to indemnify and save harmless both, consignor and Auctioneer, its officers, directors, employees, agents, and attorneys against any damage caused by the acts of purchaser. All items must be removed from the auction facility within 7 days after the auction date. If for any reason purchaser fails to remove any purchase within the time specified, the purchase shall be deemed abandoned, and Auctioneer at its sole discretion may resell the items. Purchaser shall be liable for any rent incurred or damages suffered by Auctioneer because of purchaser’s failure to remove any item. Failure to remove items will result in a rental / storage fee of not less than $25 per item per day. A $65 document processing fee, and a $55 smog fee, (if applicable) will be charged for every DMV purchase, whether sold independently or grouped into one Lot and regardless of purchaser’s intended use of the purchase. Oregon law does not provide for a “cooling off” or other cancellation period for vehicles. Therefore you cannot later cancel a contract simply because you change your mind, decide the vehicle costs too much, or wish you had acquired another vehicle. Funds must be certifiable prior to the processing or release of DMV documents. Documents will be prepared to be effective only in the jurisdiction in which the auction is being conducted. Some vehicles may be sold pursuant to vehicle code 24007.5, subsection (a) paragraph (2) and may only be available to licensed motor vehicle dealers and dismantlers. Diesel vehicles (over 14,400 GVW) or off-road diesel equipment / vehicles when operated in Oregon may be subject to the State of Oregon Air Resource Board in-use off-road diesel vehicle regulation or accelerated turnover requirements to reduce emissions or air pollutants and may not be operated or registered in the State of Oregon without being retro-fitted. This vehicle/equipment may or may not be identified by Bar None Auction. It is the buyer’s sole responsibility to determine if diesel engines or equipment with diesel engines can be permitted or registered in the State of Oregon. For more information contact the ARB website at http://.arb.ca.gov/dieseltruck. Bidders purchasing Out-of-State items must be registered as an out of State buyer with Bar None Auction prior to bidding. Bidders are hereby notified that a VIN Stop has been filed with Oregon DMV prohibiting the vehicle/equipment from being registered in Oregon. Purchaser will be required to sign an ARB Out-of-State Verification Form acknowledging their intent to move the vehicle/equipment out of Oregon, and an Out-of-State Sales Agreement indicating that the Buyer will inform future buyers that the vehicle cannot be registered and operated in Oregon unless compliant with Section 2022.1(b).